Easter is a very special holiday that is enjoyed by people all over the world each spring. While Easter is a religious holiday, it is also a date in which the weather is starting to turn and you can finally enjoy a nice meal outside. If you are looking to host an Easter celebration, you should make it al fresco and have the meal prepared and enjoyed outside. There are some great entrees and sides that you can make on your durable gas grill. 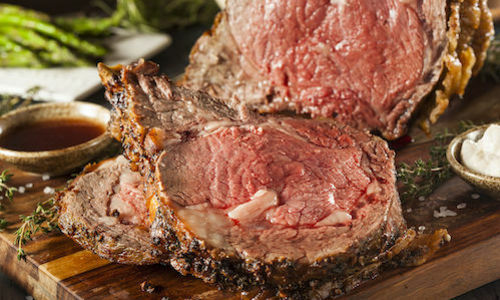 When you are hosting an Easter celebration and need to prepare a meal, nothing will make it better than making a grilled prime rib roast on your very own stainless steel grill. When you want to make a prime rib roast on your PGS grill, you will only need a few simple ingredients. This includes one whole prime rib roast weighing 15 to 20 pounds, six cloves of garlic, a quarter cup of olive oil, and two tablespoons each of ground pepper, sea salt, paprika, and dried rosemary. To start, you will first want to prepare your grill and ceramic briquettes. Through the use of your PGS FuelStop® one-hour gas flow timer, you will want to set the grill temperature at 400 degree. You will then want to check the roast at least once per hour while resetting the timer each hour until it is done. You will then want to prepare the roast. This process will include chopping up the garlic and rosemary and inserting it into the prime rib. Ideally, you should cut one-inch deep holes all over the roast with at least a two-inch spacing between holes. Placing a small piece of garlic and rosemary into these holes will provide a ton of flavor. You should then create a quick rub of salt and pepper and paprika and rub it all over the roast. Once the grill is hot and ready, you can place the roast on the grill. You should then take it off once the internal temperature reaches 120 degrees. Then allow it to sit and rest of ten minutes before being sliced and served. Through the use of 304 stainless steel cooking grids on your grill, you also have plenty of space for sides. Nothing goes better on the side with grilled prime rib than grilled vegetables. Through the use of a grilling pan, you can easily grill asparagus, peppers, zucchini or even brussel sprouts. By simply adding a layer of olive oil and sprinkling with salt, you can make some very tasty vegetables. Best of all, they only take about three to five minutes to grill and can be placed on the grill along with the prime rib. Of course, no Easter celebration will be complete without an Easter egg hunt for all of the kids. 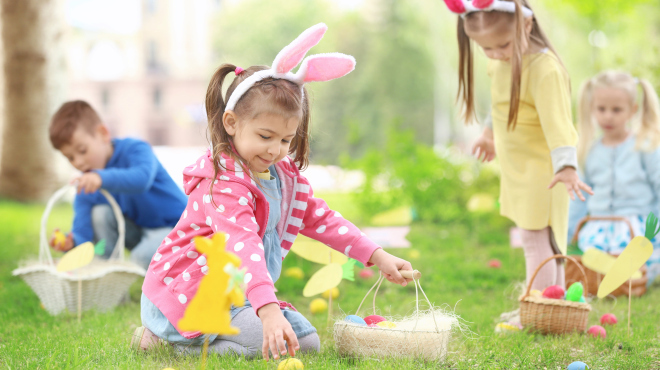 When you are looking to do an Easter egg hunt there are several tips to follow that could make it more enjoyable for all people. The first idea would be to separate the hunters into groups. If you have a lot of different kids looking, you will want to make sure that they are separated into groups based on age. This will give all kids a chance to find some eggs. Another idea for your Easter egg hunt would be to have items more than candy in the eggs. While all kids will like to get some candy, adding other items could make it more memorable. Putting in some small toys, spare change, and other fun items could add some excitement to the hunt.